The Dhola–Sadiya Bridge, also referred to as the Bhupen Hazarika Setu (Assamese: ভূপেন হাজৰিকা সেতু), is a beam bridge in India, connecting the northeast states of Assam and Arunachal Pradesh. The bridge spans the Lohit River, a major tributary of the Brahmaputra River, from the village of Dhola (Tinsukia District) in the south to Sadiya to the north. The bridge is the first permanent road connection between the northern Assam and eastern Arunachal Pradesh. At 9.15 kilometres (5.69 mi) in length, it is the longest bridge in India. However, the 9.76 kilometres (6.06 mi) Kacchi Dargah–Bidupur Bridge under construction in the Indian state of Bihar, is expected to become the longest bridge in India upon its estimated completion in December 2020. With rapid movement of India's defense assets in mind following incursions by the Chinese Army, the Dhola–Sadiya Bridge has been designed to handle the weight of 60-tonne (130,000-pound) tanks such as the Indian Army's Arjun and T-72 main battle tanks. 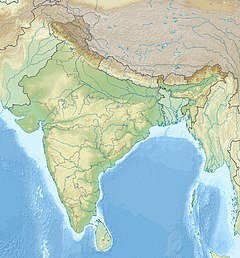 Since the Sino-Indian War, China has disputed India's claim to Arunachal Pradesh, politically and militarily, along the Line of Actual Control, making the bridge an important tactical asset in the ongoing dispute. The Ministry of Road Transport and Highways started a feasibility study of the project in August 2003 after demands from local constituents. In January 2009 the bridge was approved for construction with funding from the Government of India as part of the Arunachal Pradesh Package of Roads and Highways. Construction began in November 2011 as a public-private partnership with Navayuga Engineering Company, with an expected completion in 2015. However, due to construction delays and cost increases, the bridge's completion date was pushed into 2017. The project cost around ₹10 billion (US$139 million) and construction took over five years to complete. It is 3.55 kilometres (2.21 mi) longer than the Bandra Worli Sea Link in Mumbai, making it the longest bridge in India. The bridge was inaugurated on 26 May 2017 by Indian Prime Minister Narendra Modi and Nitin Gadkari (Minister of Road Transport and Highways). The bridge is named after Bhupen Hazarika an artist and filmmaker from Assam. ^ Karanbir Gurung, Shaurya (28 May 2017). "Dhola-Sadiya bridge not enough, China still miles ahead of India in infrastructure along LAC". The Economic Times. Retrieved 15 June 2018. ^ "Dhola-Sadiya: A Bridge of New Hope for the North East". pib.nic.in. Retrieved 23 June 2017. ^ "All you need to know about Dhola-Sadiya Bridge, India's longest river bridge". The Hindu. 26 May 2017. ^ "Longest bridge in India provides a quick link to LAC". ^ "The mighty Brahmaputra is the biggest hurdle to the country's longest bridge". ^ "India: Bihar New Ganga Bridge Project". Asian Development Bank. Retrieved 27 May 2017. ^ "Work on 9.8 km long ADB-supported bridge on Ganga in Bihar to start soon". Financial Express. 14 February 2017. Archived from the original on 1 July 2017. Retrieved 1 July 2017. As per the loan agreement, the project is scheduled to complete by December 2020. ^ "India's Longest Bridge, Built For Tanks, To Open In Assam Today: 10 Facts". ^ a b "Dhola Sadia bridge: 10 facts about India's longest bridge on the Brahmaputra". 25 May 2017. ^ Subir Bhaumik (26 May 2017). "India opens longest bridge on China border". BBC News. Archived from the original on 27 May 2017. Retrieved 27 May 2017. China claims Arunachal Pradesh as its own, and refers to it as "southern Tibet". [...] "With China getting more and more aggressive, it is time we strengthened our physical infrastructure to defend our territory," India's junior Home Minister Khiren Rijiju, a native of Arunachal Pradesh, told journalists. ^ "How PM Modi fulfilled Vajpayee's 'dream' to build India's longest Bhupen Hazarika Bridge between Dhola, Sadiya in Assam". The Financial Express. 26 May 2017. Retrieved 27 May 2017. ^ "A bridge too far". The Telegraph (Calcutta). 7 April 2015. Retrieved 25 June 2015. ^ "Development in North East". pib.nic.in. ^ "3 years of Narendra Modi government: India's longest bridge to be called Bhupen Hazarika Bridge, says PM Modi". Business Today India. 26 May 2017. Archived from the original on 26 May 2017. Retrieved 28 May 2017. Its construction started in 2011. The approximate cost of the project is said to be around Rs 10 billion. ^ "Longest bridge in India provides a quick link to LAC". 4 May 2015. ^ "India opens longest bridge on China border". BBC News. Retrieved 26 May 2017. Wikimedia Commons has media related to Bhupen Hazarika Bridge. This page was last edited on 27 December 2018, at 11:03 (UTC).